Click HERE to see the Statewide Nebraska 511 Map. Click HERE for Lancaster County road closures. Click HERE for city street condition updates. 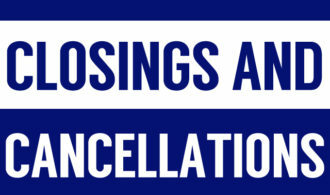 Click HERE for the “closings and cancellations” lists. Click HERE for the latest warnings from the National Weather Service. Click HERE For Current Conditions, Forecast, Radar & Satellite Images. Amounts, Plus Current Conditions & Forecast For Any City. Click here to download a free Android radar app. Click here to download a free iOS radar app. Click here for the Weather Channel Android app. Click here for the Weather Channel iOS app.